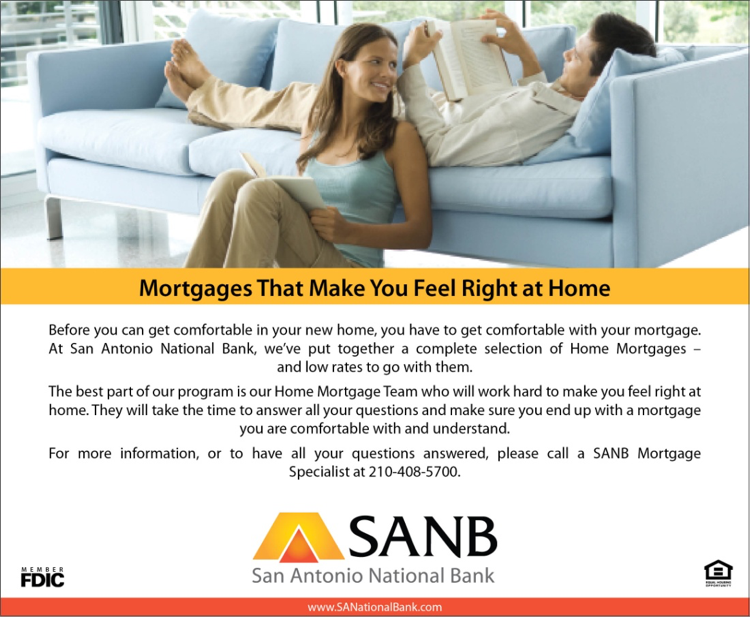 The San Antonio National Bank (SANB) had a passion for spurring customers’ economic growth. 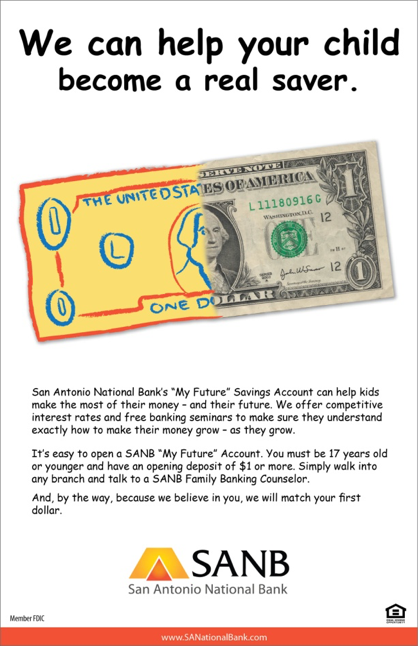 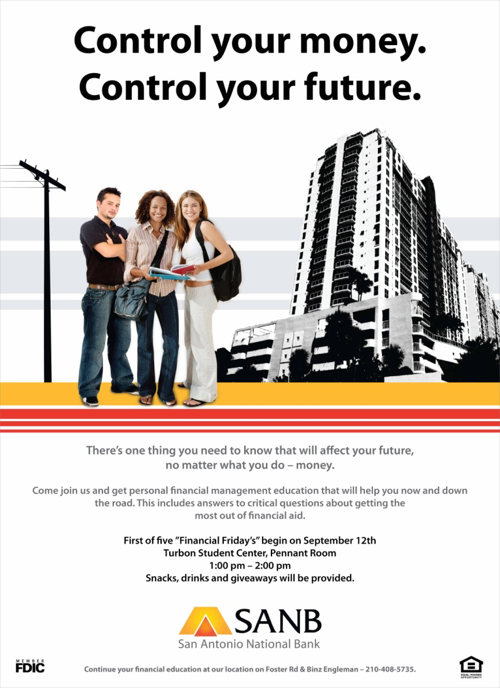 The bank offers more than financial products ­– they provide education, financial advice, and an honest, professional relationship. 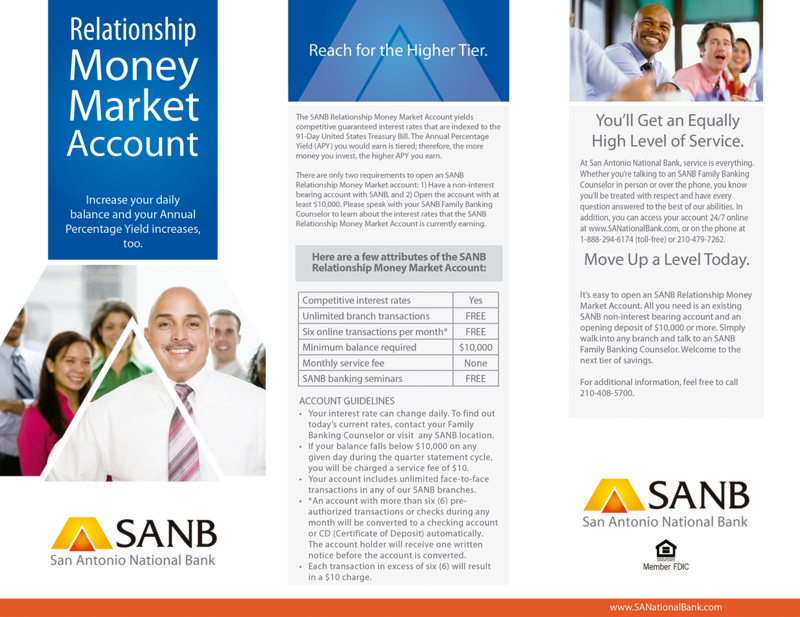 We designed marketing communications to promote financial solutions for different customer needs. 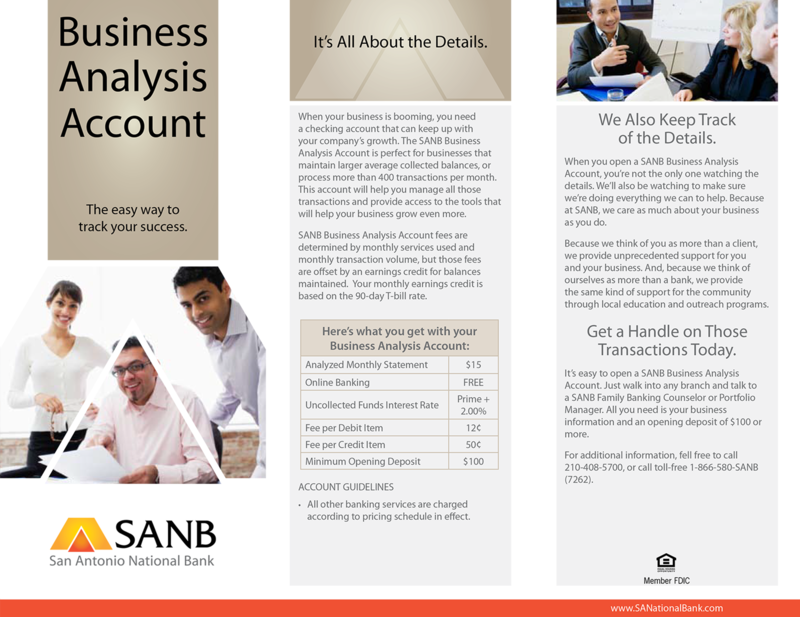 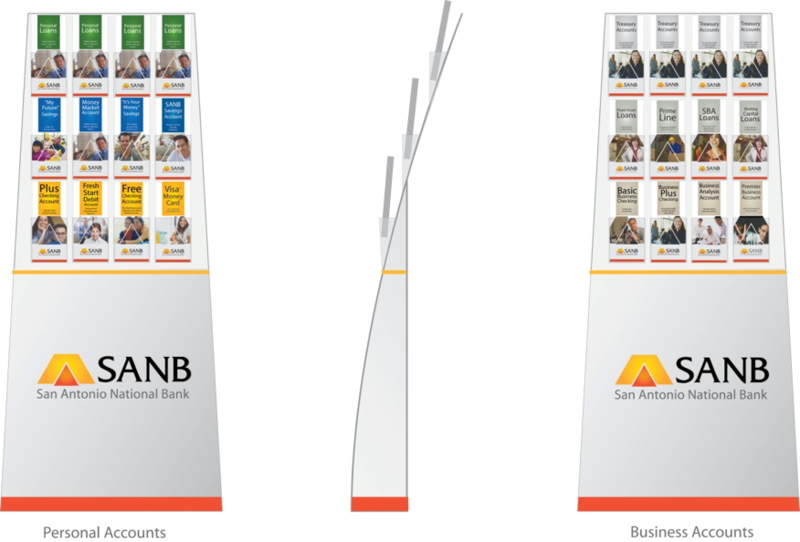 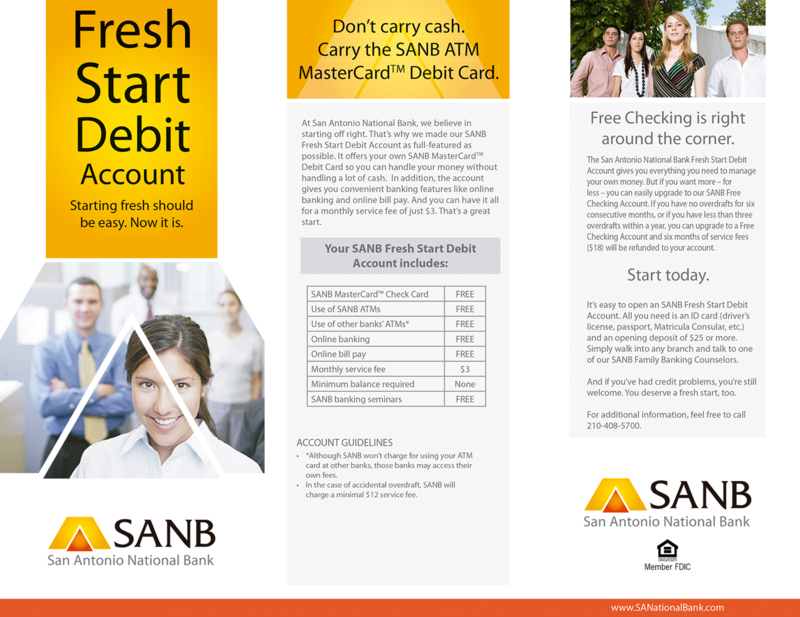 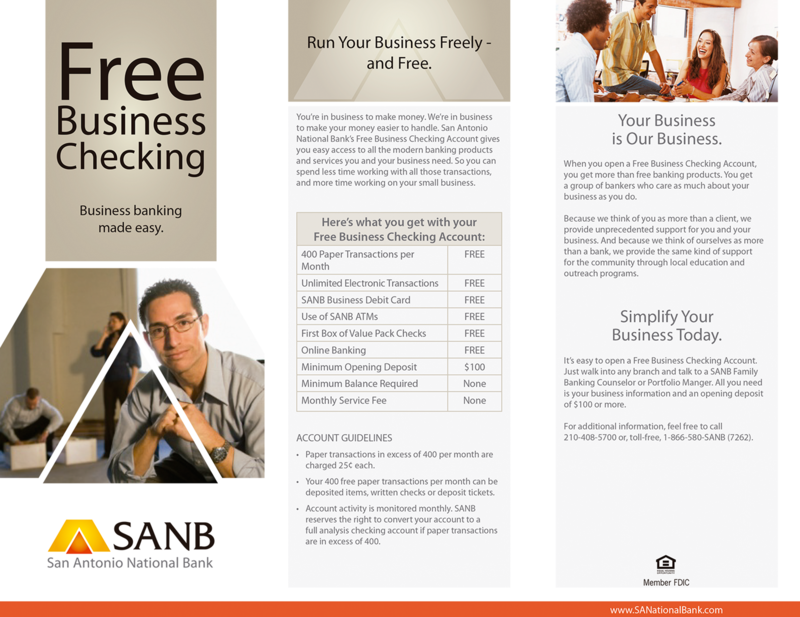 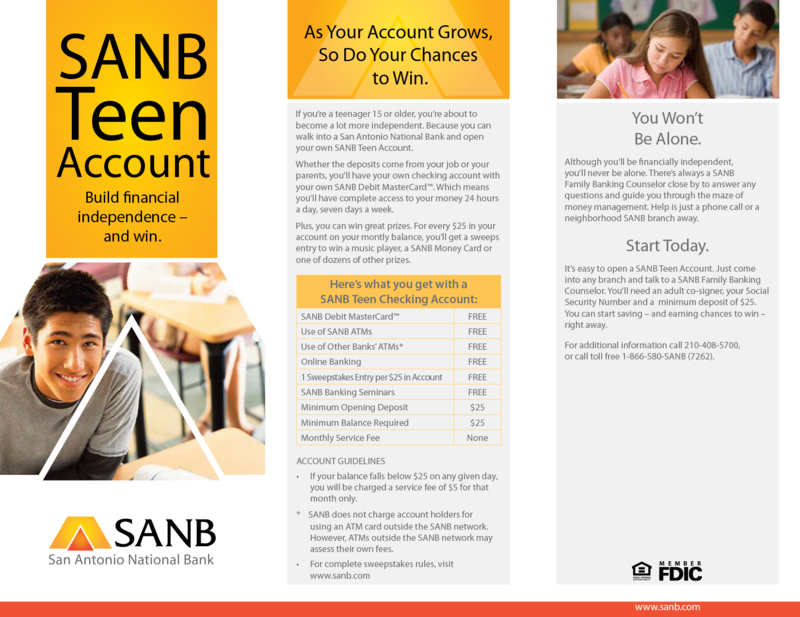 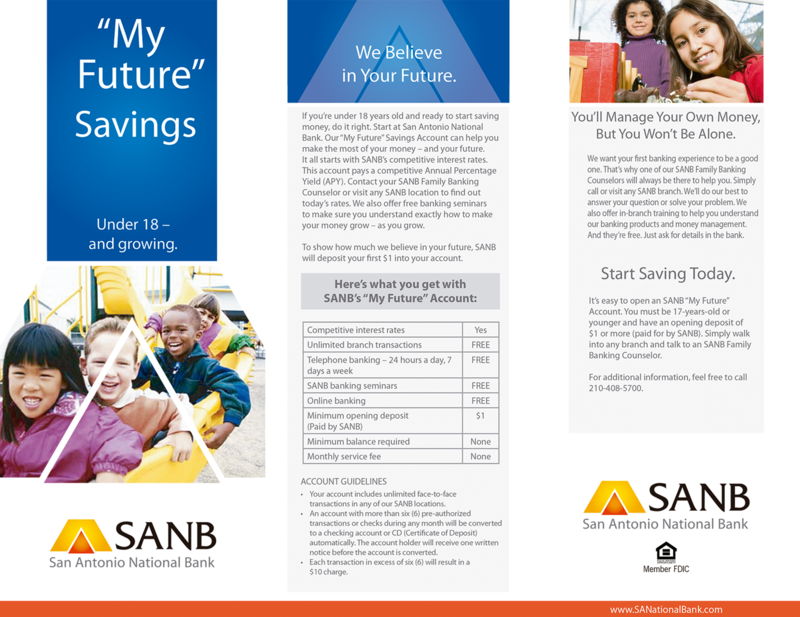 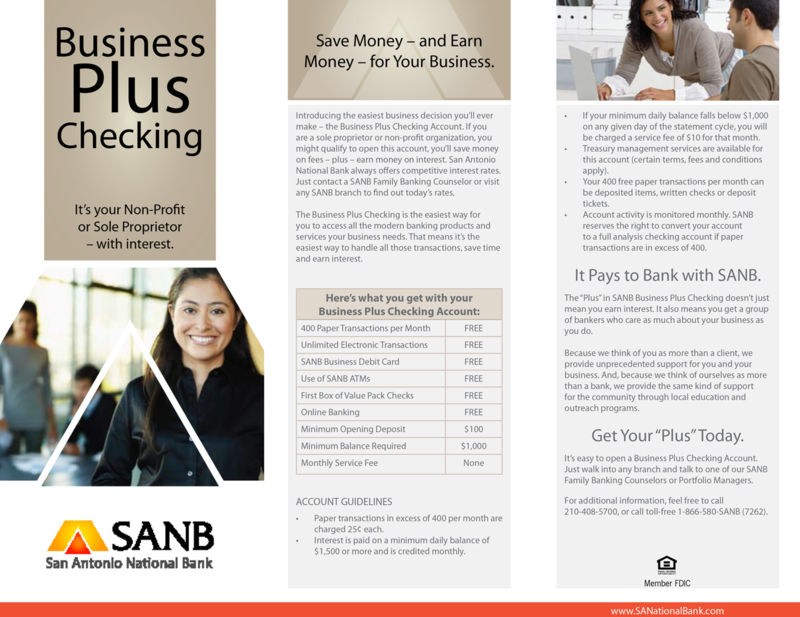 Each promotion helped the bank bring its motto to life with the friendly SANB spirit at its core.